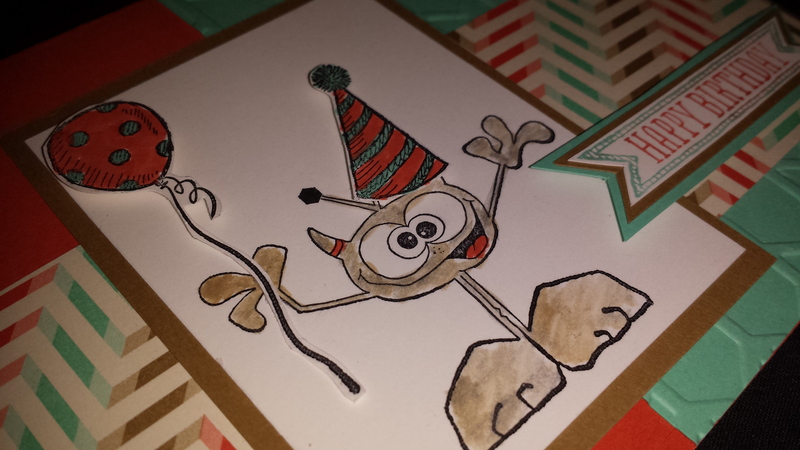 This was one of the cute cards from my Stampin’ Buffet last month. I really love this monster set, I’m so glad I finally got it. I’m also in love with this designer series paper. I’ve had way to much fun with it. I just really like the color combination. 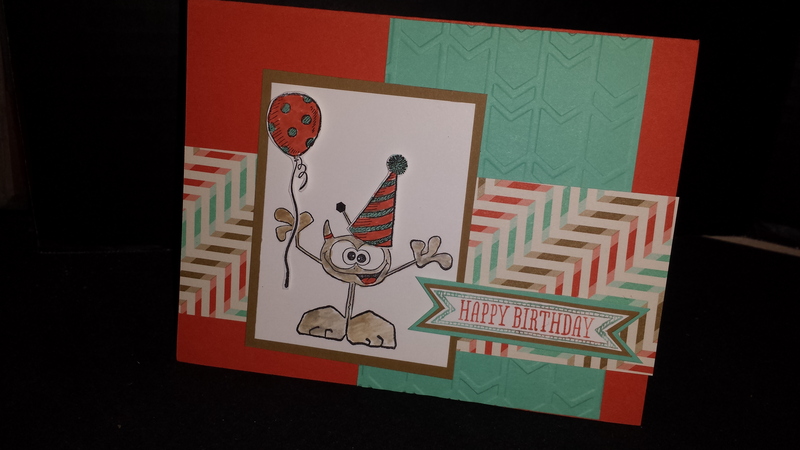 It’s great for fun vibrant cards. It’s also really good for boy cards which I tend to find a bit harder to create. Here’s a little bit more close up of the monster. I colored him with a blender pen. I used dimensionals to make the balloon and the hat really pop. I also used them behind the Happy Birthday. Do you love how the fun retro paper works so well with this embossing folder? I do.